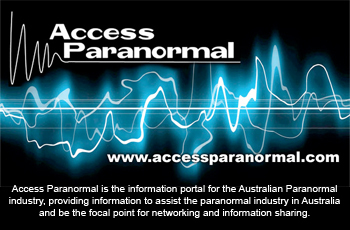 SOuL Searchers Centre for Paranormal Research and Investigations, and the SOuLSPI (“soul spy”) team, is based in Australia, in the southern Sydney, Sutherland Shire and Illawarra areas of NSW. We undertake paranormal investigations from a shamanic perspective. All members are volunteers and all team investigations are conducted free of charge. To request a SOuLSPI team investigation and clearing in your home please fill out the questionnaire below. To assist us in our investigations we request that you please answer the questionnaire below to the best of your ability (copy/paste the questions into your email then insert your answers). The questionnaire will be reviewed by SOuLSPI team members, after which you will be contacted and a date set for an investigation. All information received is kept strictly confidential. The mission of SOuLSPI is to provide the best service possible to our clients, by listening to their needs, providing solutions and being informative every step of the way. 7. How long have you lived/worked in the location? 8. Has the location ever been previously cleared by a psychic or clergy? What happened? 9. Do you know the history of the location in question? 10. Has anyone in the home/building conducted a séance or used a Ouija board, etc? 11. Has anything new come into the home? Antiques, furniture, jewelry, a person, etc? 12. Has there been a death of a family member/friend recently? 13. Does anyone in your family use drugs or alcohol? If yes, please explain. 14. Has anyone in your family been diagnosed with Autism, Asperger’s Syndrome, Schizophrenia, Anti Social behaviour or medical depression? 15. When did you first start noticing that something wasn’t right? 16. Explain in detail what’s been happening. What have you been seeing, feeling, hearing, etc? 17. What was the first thing you noticed? 18. Where on the premises have the disturbances taken place? 19. Have the disturbances been increasing in frequency and severity since they first began? 20. Are there any witnesses from outside of the location? What did they experience, as far as you know? 21. Does the activity seem to happen more on a certain day? To a certain person? More on a certain time? If yes to any one please explain. 22. Do you have any feelings/ideas of who/what this may be? 23. Have you captured anything on film or video? 24. Have you looked for ordinary, normal explanations? What makes you believe that the events are paranormal? 25. Do you have pets acting oddly? 26. Have you noticed any temperature changes? 27. Has this type of thing happened to you in a different location? 28. Are there minors involved? If yes, have they said anything? 29. Have you attempted to take care of this matter in any other way besides contacting us? and Dark Moon Circles, meditation and educational workshops.